Make a wonderful Watermelon cocktail or a frozen drink. A favorite Option: Instead of wine use. 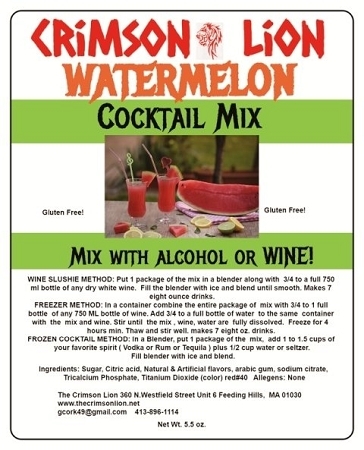 Vodka 1-1.5 cups, 1/2 cup of water, and fill the blender with ice with 1 package of the mix for an outstanding watermelon vodka slush drink.